Arctic Animals - Impact resistant Phone Case Design. If you are looking for the perfect case this winter, we have you covered. 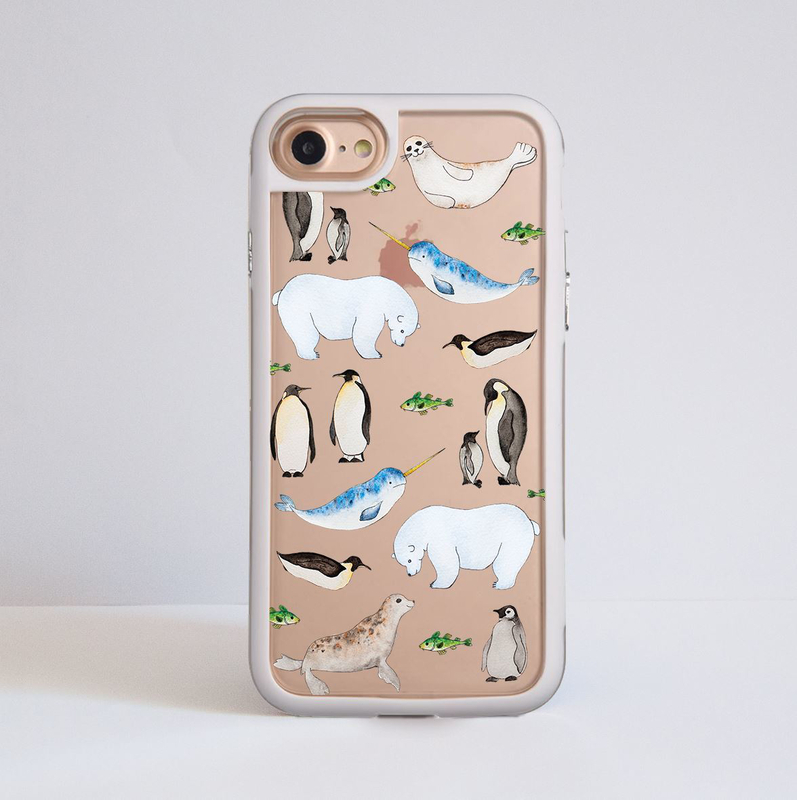 One of our best selling winter designs is the Arctic Animals phone case. The transparent design allows you to see your phone behind the prit but unlike a sticker it will protect the whole surface of yoru device. The bumper covers are a great choice for those of you who would like to have a bit more protection for their luxurious phone. The design is featuring our favourite arctic animals, each one hand-drawn using watercolours to achieve more complex texture. This case is perfect for the winter season, it will add character to your phone whilst protecting it from accidental drops. 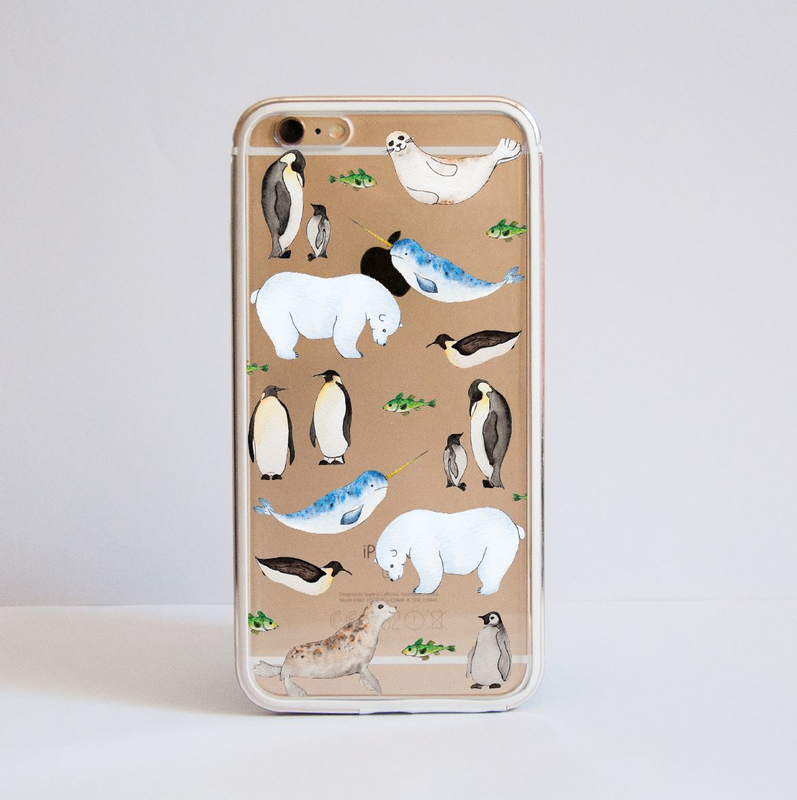 Get inspired in time for the Winter season with our Arctic Animas Phone cover. Each animal is hand drawn and coloured by using watercolours to create a more complex texture.